In a lot of ways, I feel the same way about my student leadership team. Each summer, we read a book together. Not only does this book serve as our discussion fodder, but if chosen well, it also greatly impacts the faith of my teens. Since I have a student leader, on average, for three years, I do a three-year book rotation with them. One year, we read a book about leadership, the next a book about Jesus, and finally, a book about the church. The last time it was our Jesus year, I couldn’t find a book about Jesus that I was excited to read with my students. Sure, there are LOTS of books that claim to be about Jesus. But as it turns out, a lot of books that claim to be about Jesus are really about other things: Church, faith, and community just to name a few. Because my own research showed there’s a very real gap between what youth workers think their teens know and understand about Jesus and what teens actually know about Jesus, I wanted to read and discuss a book that was actually about Jesus with my teens. I wanted my teens to read something that would help them understand who Jesus was, what he did, and why it matters. I couldn’t find that book. 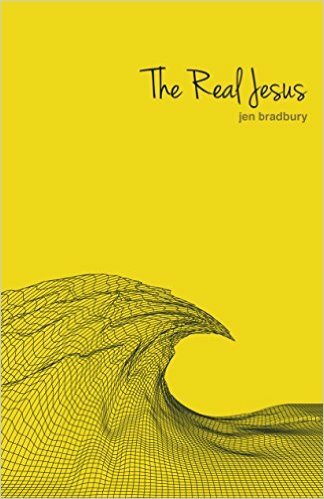 The result is The Real Jesus (published by The Youth Cartel). It contains 50 devotionals about Jesus, written for youth. There are 5 reasons why I’m particularly excited about The Real Jesus. The Real Jesus is based on research. Each section addresses one of the “gaps” that exists between what youth workers think teens know about Jesus and what they actually know about Jesus (for more on these gaps, check out The Jesus Gap). For example, there’s a section on Jesus’ humanity but there’s also one on his divinity. One section addresses the question, “What did Jesus teach?” Another explores the question, “Did Jesus sin?” The final section deals with the difference Jesus makes in our lives because as I was conducting the research for The Jesus Gap, I quickly discovered that a lot of teens don’t think Jesus makes any difference in their lives now. The Real Jesus offers multiple viewpoints. The section “Why did Jesus die?” explores four different atonement theories. Why? Because my research for The Jesus Gap showed it’s helpful for teens to consider the different beliefs about Jesus that exist within Christendom. After all, the way we personally answer these questions might not make sense to teens but another theory might. When teens decide for themselves what they believe, their faith in Jesus is ultimately strengthened. The Real Jesus contains quotes from actual teens. My hope is that teens will see themselves – and their beliefs – reflected in these quotes. Teens helped write The Real Jesus. Teens read and gave me their feedback on every single devotion in The Real Jesus. If teens said something didn’t work or an illustration didn’t make sense, I rewrote the devotion until I found something that did. Each devotion in The Real Jesus contains questions you can use with your teens in a variety of ways. They can be used as journal prompts or as discussion questions for small groups. This, too, is part of the uniqueness of this book. You can give it to a student to read on their own, you can read and discuss a few devotions at a time in small groups, or you can use it as an outline for a teaching series on Jesus. For these five reasons, I’m convinced The Real Jesus will help your teens better know and understand Jesus. And what youth worker doesn’t want that? Today, I’m pleased to be giving away a copy of The Real Jesus. To win, comment here with one difference Jesus makes in YOUR life (aside from the fact that he saves you). A winner will be randomly selected from those who comment on Tuesday, March 29. And have no fear. Even if you don’t win, you can order The Real Jesus here.